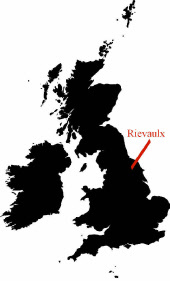 The origins of the project lie in fieldwork I conducted in 1971 (McDonnell 1973) locating slag heaps in Bilsdale and Rievaulx. The project is investigating the monastic iron working landscape from the foundation of Rievaulx Abbey in 1131 to the Dissolution of the Abbey in 1538. The Abbey lands were taken over by the Earl of Rutland who continued mining and smelting iron. The ironworks continued, a blast furnace was built in 1570, with finery and chafferies. Ironworking ceased in c 1650 at the end of the Civil War.